LIVERPOOL, UK (JANUARY 16, 2013) – Dunkin’ Brands Group, Inc. (Nasdaq: DNKN), the parent company of Dunkin’ Donuts and Baskin-Robbins, today announced a multi-year marketing partnership with Liverpool Football Club (FC), one of the world's most historic and famous football clubs, to support global expansion of the Dunkin’ Donuts and Baskin-Robbins brands. Under the agreement, Dunkin’ Donuts will become the official coffee, tea and bakery partner for Liverpool FC, and Baskin-Robbins will become the official ice cream partner. The partnership will help both Dunkin’ Brands and Liverpool FC further engage with their fans around the globe through joint promotions, digital and print advertising, and appearances during pre-season tours. 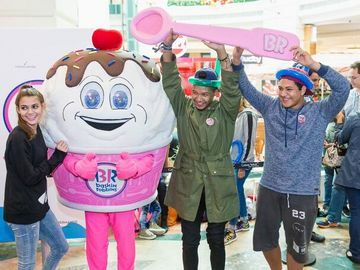 Dunkin’ Brands currently has more than 18,000 points of distribution in nearly 60 countries worldwide, including nearly 11,000 Dunkin’ Donuts restaurants in 33 countries and more than 7,250 Baskin-Robbins shops in nearly 50 countries. 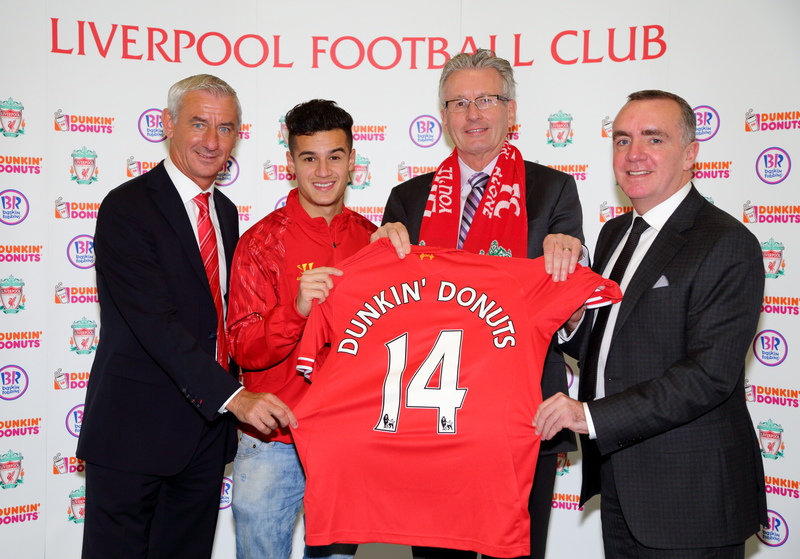 In 2013, Dunkin’ Brands opened 790 net new restaurants around the world, with 415 of these restaurants located outside the U.S. As a testament to its global fan base, Liverpool FC, an English Premier League football club, has over 200 Official Supporters Clubs all over the world in 62 different countries, including the UK, the USA, Spain, Germany, Brazil, China, Japan, Thailand, India, Malaysia, Australia and South Africa. 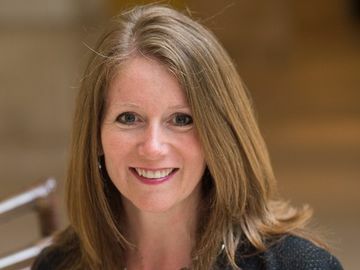 Dunkin’ Brands’ marketing partnership with Liverpool FC continues the company’s strong and ongoing relationship with Fenway Sports Group, owner of Liverpool FC and the Boston Red Sox. The company also has a long-standing marketing partnership for Dunkin’ Donuts with the Boston Red Sox. Dunkin’ Donuts will become the official coffee, tea and bakery partner for Liverpool FC, and Baskin-Robbins will become the official ice cream partner. Access to match day LED field board signage at Liverpool FC home games for Dunkin’ Donuts and Baskin-Robbins. Joint participation in pre-season tours to boost guest and supporter engagement. Access for Dunkin’ Donuts and Baskin-Robbins in Liverpool FC global digital media, as well as print ads in monthly magazine and programs, and spots on Liverpool TV. Liverpool FC tickets and autographed items for joint promotions and sweepstakes. For more information about Dunkin’ Donuts, visit www.DunkinDonuts.com. 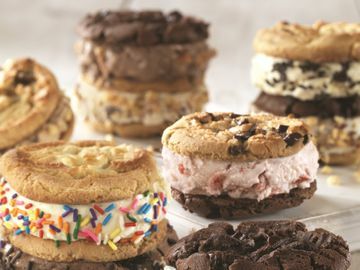 For more information about Baskin-Robbins, visit www.BaskinRobbins.com. For more information about Liverpool FC, visit www.LiverpoolFC.com. With more than 18,000 points of distribution in nearly 60 countries worldwide, Dunkin' Brands Group, Inc. (Nasdaq: DNKN) is one of the world's leading franchisors of quick service restaurants (QSR) serving hot and cold coffee and baked goods, as well as hard-serve ice cream. At the end of fiscal 2013, Dunkin' Brands' nearly 100 percent franchised business model included nearly 11,000 Dunkin' Donuts restaurants and more than 7,250 Baskin-Robbins restaurants. Dunkin' Brands Group, Inc. is headquartered in Canton, Mass. • Liverpool FC is a global brand and works with leading edge commercial partners around the world providing unparalleled commercial opportunities.